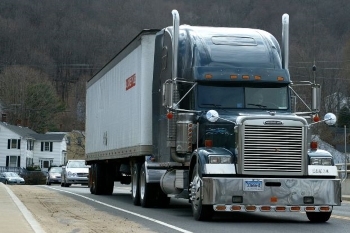 Connect freight to the top, most reliable OTR owner operators across the United States. Direct Drive Logistics coordinates reliable truck drivers and motor carriers to deliver ground freight safely and efficiently. Driver direct deliveries, reliable freight shipping, and caring, lasting partnerships is what you can expect with our woman owned logistics company. We are proud of our long term relationships we have established with our customers. We understand each customer's freight transportation requirements are unique and we provide the ideal shipping solution for each individual load. Direct Drive Logistics keeps your best interest at the fore front and we promise to bring to your attention any and all savings or efficiencies that might help you contain your over the road freight transportation costs. As your partner in complete freight shipping solutions, Direct Drive Logistics provides the Over the Road trucking shipment services to get your freight moving. From freight flatbed shipping to construction sites to temperature controlled freight shipping across the nation, Direct Drive Logistics has the freight transportation solution to meet your specific trucking requirements. We utilize a wide network of shippers and motor carriers to get freight shipped ASAP at a great rate. Direct Drive Logistics has the resources and available network of a nationwide 3PL company and the flexibility of a nimble freight broker for immediate connection with high paying loads. We coordinate over the road carriers across the United States to minimize the cost of interstate shipping. Got heavy and bulky cargo to ship? Direct Drive Logistics connects you with only the most reputable flatbed owner operators to ensure your freight is shipped in a timely fashion. We find the most profitable solutions for your full or partial flatbed loads. Flatbed trailers are one of the most popular shipment options for domestic cargo. They're best used for LTL shipments of freight that's best shipped on its own, like tubes, pipes, reels, drums, coils and bundles. 53 foot dry van trailers rule American roadways. They're the nation's go-to for all over the road domestic shipping. Curtainside flatbed trailers are designed to handle shifting loads, perfect for hauling lumber, machinery or steel. The ability to unload from the sides and top greatly increases flexibility in handling all varieties of freight. 48 foot long Conestoga trailers are capable of carrying loads up to 47,000 pounds, so Conestoga carriers provide a versatile option for many kinds of heavy freight. For safe shipment of fresh foods, pharmaceuticals, and other temperature sensitive freight, look to the refrigerated freight brokers at Direct Drive Logistics. Rest assured, the drivers we trust are drivers you can trust. Our strict vetting process ensures only owner operators with perfectly functioning refrigerated trucks handle your freight so it gets to its destination in perfect condition. Moving an entire trailer? Contact the power-only freight brokers at Direct Drive Logistics to arrange for safe and efficient pick-up and transportation. We work with a wide network of proven-reliable truck drivers to make sure your power-only freight arrives in excellent condition and on-time. Contact our logistics consultants to get your freight moving in the right direction.